Man called me for a last minute compulsory fishing reservist recall just before I was going out for some unimportant matter at 7.40pm. Prepared my stuff and met him at the carpark where I parked my bike. Ride over to Changi Village to buy some sinkers and lightsticks and off we go to spot. When we reached there, we were suprised that there were quite a handful of anglers fishing. There were around three sets of anglers which includes a family fishing with their wife and daughter nearby the toilet with around 5 rods. 2nd set of two anglers on the way to packed up their stuff and went home and the other set of angler with two rods, were fishing beside us. Tide was rising when we set up our rods. 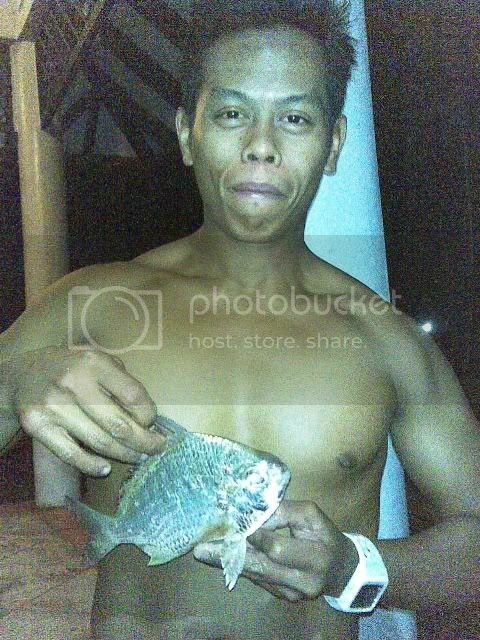 Man casted his bait first; a big fresh frozen size pasir-pasir which we bought it alive at Gary shop last Saturday in Changi Village for the last Saturday short timed fishing outing with Man. So since there were no bait fish around for me to use as bait, I took one of Man ready hooked fresh squid bait meant for his big game and use casted it away. 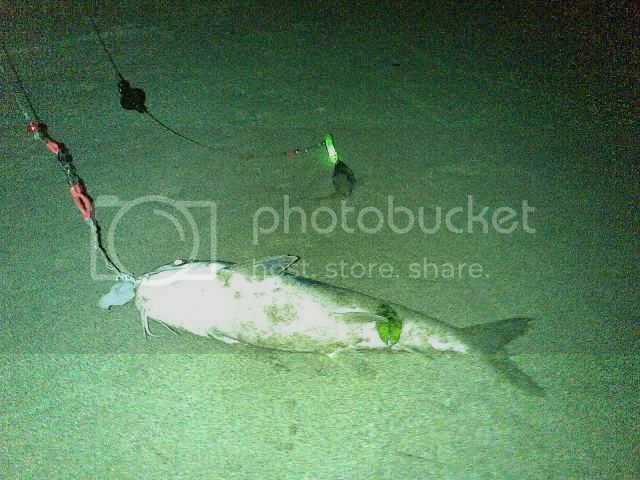 Once everything is settled, I caddied Man for some netcasting session in order to get baits, tonight was a good tide and we managed to land in good sizes of tua bak; tamban malam for bait. I was suprised to see that the sizes of the tua bak has grown bigger rather than the past outing netcast catch few months back. 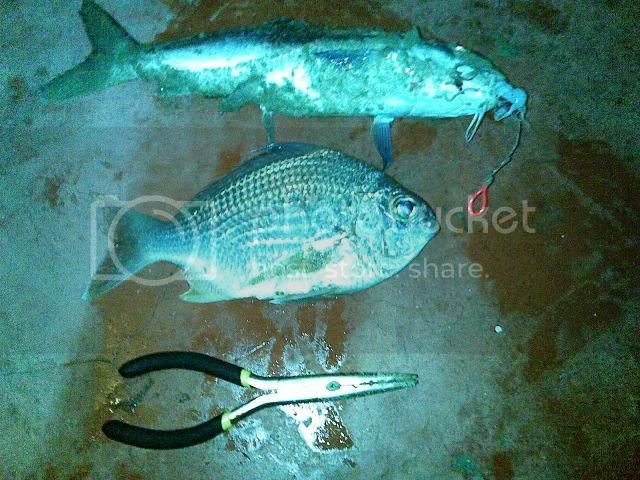 After a few netcast, Man landed in a good size Kapas-kapas which he casted from the knee deep water depth. Soon Man saw my rod was pulled and and asked me to check my big game setting rod. Once reeled in, I caught an acceptable size Duri. Man later told me that this Duri are so greedy that it swallowed a big chunk of squid bait with big hook as compared with its mouth size. As Man needs to go to work the next morning, we stopped fishing at around 1am completing our 4 hours block of fishing outing.